Never worry about being left in the dark again with Bell + Howell Motion Pods. 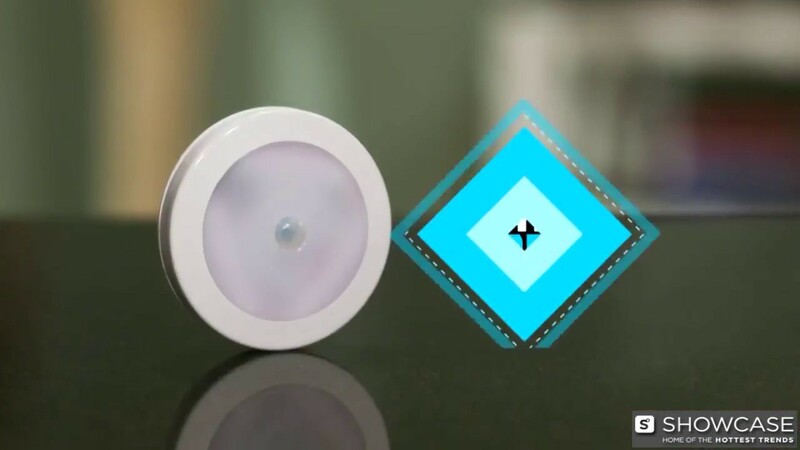 The powerful LED lights that automatically turn on when they sense motion. Motion Pods high-power lights shut off automatically as you walk away so you never have to worry about an expensive light bill again. Motion Pods can last up to 100,000 hours and are easy to use. Just peel and stick. Best of all, each Motion Pod has an ultra-strong magnet built in to grab on to any metal surface for moveable light exactly where you need it. So stop paying electricians to install that expensive programmable lighting system and get the most affordable light you need, where and when you need it most! Pack includes (3) Motion Pod Lights. This works great for the pantry. It's a nice light that isn't overpowering. I really like the idea of this item and I would definitely recommend it. This product is awesome. The fact that it gives you the option of sticking it with a magnet, or using adhesive tape is quite helpful! It works really well, and the fact that it is motion activated is always a bonus. 1 out of 3 doesn't always come one but the other 2 work fine. I like that you can either use the embedded magnet to attach to metal or 3M to stick to wall. With the magnet mount you can pull it off and use as a 'flashlight'. I put 2 in the closet and the 3rd by the cat box in the basement laundry room. Nice 3 pack for the price! Opened one of the 3 packs of motion pods lights. One of the three doesn't always come on. The other 2 are fine. Haven't decided where to place the other 3 pack. Nice, bright light and easy to install most anywhere. I am very happy with this product. I placed them inside three of my closets, and the change is significant. They give enough light to see all my clothes and also a cozy ambiance to the room when I open the closets doors. They stick very nicely to the wall and the motion sensor works on cue. I am sure they would be lovely on stairs too. I highly recommend this item.